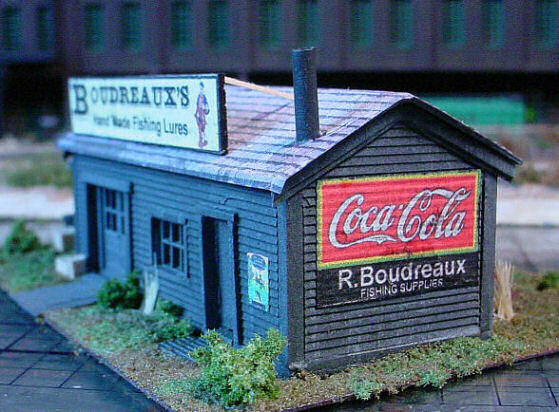 Image my surprise when I saw this image posted in the 2 Guyz and Sum Trains Forum Turns out Jim Marksbery of Butler, Kentucky built and named this N scale establishment after yours truly! So I am really flattered and honored to have had this model placed in my namesake. The link to the full post is copied here. This is an N scale model built from card stock material and Jim uses Model Builder software to create the various sheets and textures for walls, roofs, signs, etc. I have to give my “hats off” to Jim for creating both an excellent model and honoring me in the process.